Hello welcome! 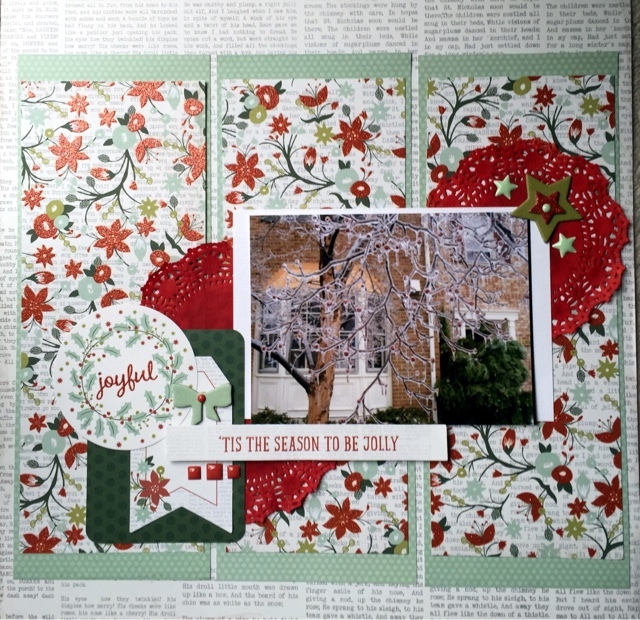 Today I wanted to share a layout I did using the My Mind's Eye Bundle Cozy Christmas from FotoBella. I love this line! 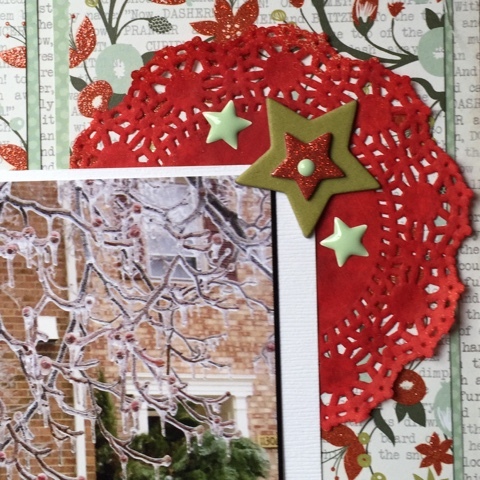 There are so many fun embellishments with it. I need to order some more paper so I can use the rest of my embellishments. I took this picture last year of the cherry blossom tree in my front yard. I thought it was just a pretty picture. Do you scrap pictures of your yard? I love all the layering in this layout! Great job!